“Traveling to Thailand? You better polish those bargaining skills”. Isn’t that what we read or hear before our first trip to the East? First time travelers to Thailand come with the mind-set of being ready to put on their tough bargaining face, ready to seem unimpressed and walk away from any seller who doesn’t give a discount on the initial price. Although it may be a big part of the dominant discourse on traveling in Thailand, the idea that everything must be bargained for is exaggerated. In fact, the hard bargaining in Thailand is mostly confined to the most touristy areas. You may think that this is about sellers trying to take advantage of tourists with no idea about price levels and the currency value of the Thai Bath. 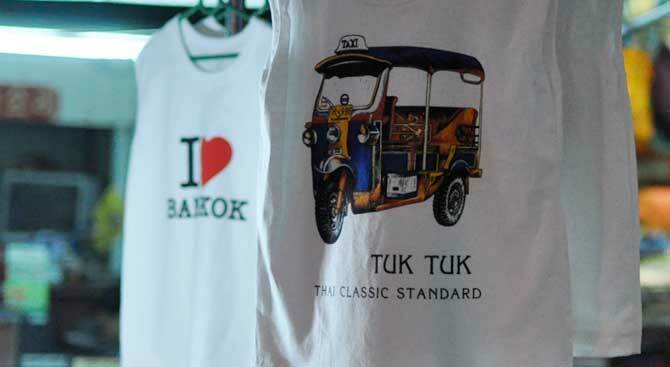 This is often the case with tuk-tuk drivers offering “good prices for you my friend”, but otherwise we argue that this is more about tourists insisting that a price not bargained for is not a good price. In turn sellers have had to start a little higher on their prices to satisfy the exotic hunger of the tourists to get the honour and personal travel story of a successful bargain. 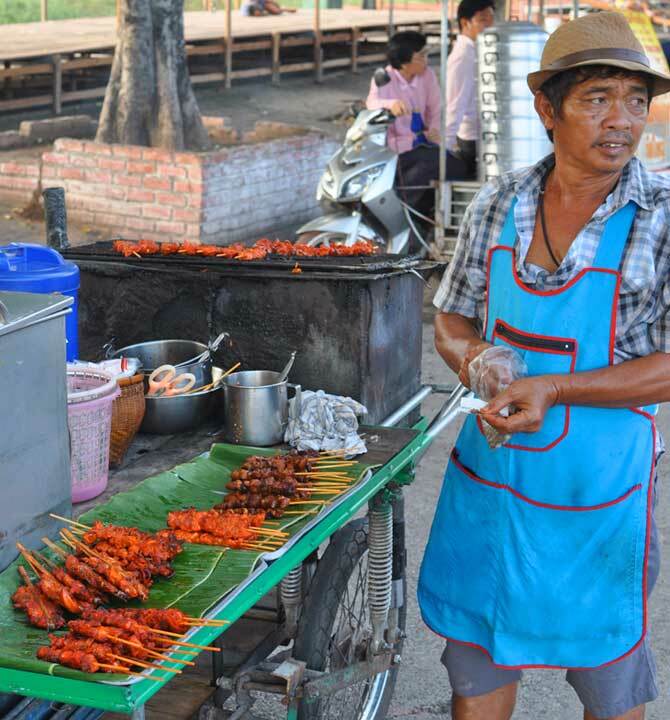 If you walk around a market, there is much less bargaining going on between Thais compared to what you might expect. This is because the parties have a pretty clear understanding of what a mango, a bottle of water, and a pair of socks should cost, so there is not a lot of room for bargaining. The lack of price tags in these places may have led foreigners to think that bargaining is necessary, and therefore tourists may insist on lower prices regardless of what the initial price given by the seller. I used to think bargaining was mandatory at every market and that every transaction was an opportunity to slice the price and flex some bargaining muscles. However, I slowly started to realize that in the vast majority of cases the prices given to me were the same as those given to Thais. Often I would even walk away with a price a few Bath lower than my Thai counterparts due to my insistence on a lower price. At the same time, there has been a noticeable change in the way shops and market stalls deal with bargaining in Thailand over the last 10-15 years. Price tags have become a lot more common, and increasingly the sellers insist on fixed prices. This could both be a way of not wasting too much time haggling over prices with tourists, and it could be a trend towards shops and marketers professionalizing their operations. For travelers who don’t like to argue about prices and feel insecure about the price level of products, this is a welcome change. For travelers who have looked forward to the exotic act of bargaining, they may walk away disappointed that the sellers don’t move an inch. If you really want a successful bargaining experience, you have the best chances if you buy several items. This method works nearly every time. The idea that you have to bargain for everything in Thailand is exaggerated and based on exotic imagery. Bargaining is most important in touristy areas since sellers have become used to the insistence on price haggling from tourists. In less touristy areas of Thailand, taxi drivers, shop owners, and market sellers give you reasonable prices identical to the ones given to local residents. The absence of price tags doesn’t necessarily mean that bargaining is expected . It could mean that the common buyer and seller know the price level already. 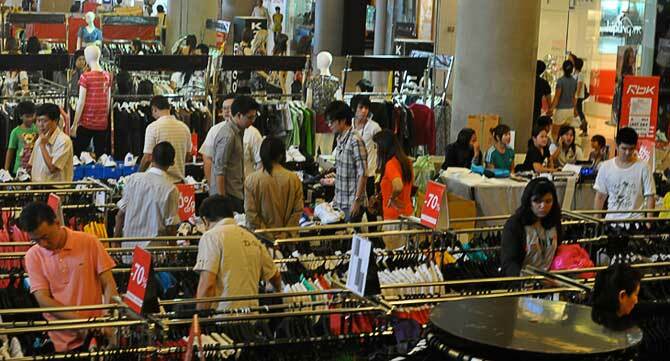 It has become harder to bargain in Thailand and more items are now with price tags. Bargaining is much easier if you buy more than one item. Before you start bargaining, make up your mind on what you think is a fair price for the item of interest. If you don’t know the price level, have a look around and ask a few different shops about their prices on similar items. You will quickly find out whether you can agree on a price. Teach yourself how to properly say hello in Thai. If your pronunciation is good, the seller will instantly know that you are not new to Thailand and thus know what things cost. Sawadee kha/khrap is the formal way of saying hello in Thai if you are a woman or a man, respectively. Even better, skip the ‘sa‘ and go for the more casual wadee kha/khrap. We will not walk through the other bargaining do’s and don’ts such as smiling, having fun, walking away etc. but leave you with a list of tips from other websites. by South East Asia Backpacker Magazine.